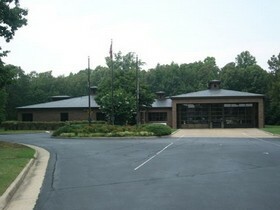 The first meeting of USS Virginia Base was held on July 18th, 2002 at the Chesterfield Fire Station #4 at 2600 Polo Parkway in Midlothian, Virginia, courtesy of fire fighter and first Vice Commander, Roger Warden. It was also voted that the Base would meet every first Thursday of the month. 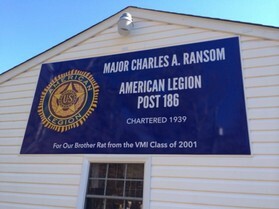 The Base voted to change our meeting location from the Fire Station to American Legion Post 186 in Midlothian beginning January 3rd, 2003. 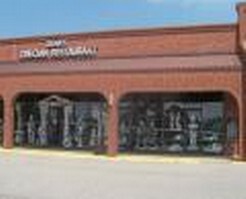 The Base voted on December 4th, 2003 to change our meeting location from American Legion Post 186 to the Piccadilly Cafeteria on West Broad Street, Richmond, Virginia. Since the Piccadilly Cafeteria did not serve liquor, it was also agreed at that time that members who wished to have a drink prior to the meeting would gather first at the Hooters next door. The Base voted on December 2nd, 2004 to change our meeting location from the Hooter's/Piccadilly Cafeteria combo to Dena's - where we enjoyed the Happy Hour period and dinner along with conducting our meeting at a single location. This change was effective with the first meeting in 2005 so on January 6th about 14 of us showed up and learned that there had been a scheduling glitch for the first Thursday reservations. Since we all agreed that Dena's was a great place to meet, Jack Winn coordinated a vote with those present, plus other members via e-mail, and it was decided to stay at Dena's but move the date to the third Thursday. Since we didn't conduct our usual meeting on January 6th, it was also decided to schedule our next meeting on the third Thursday in January - January 20th - However, due to weather conditions that meeting was canceled. Our next meeting was February 17th and our new officers were installed and our ladies joined us for dinner at that meeting which began at 1700 with the meeting following at 1900. The next change to our calendar occurred at our June 16th 2005 meeting during which we voted to move our meeting day to the second Thursday of every month, beginning July 14th, 2005. 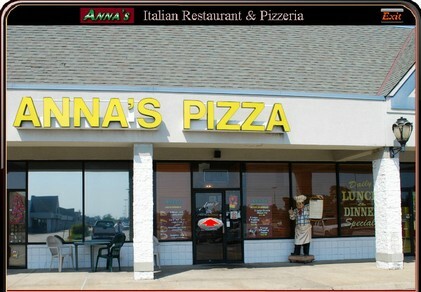 Yet another chapter in this saga is that Dena's went bankrupt, so we relocated our meeting venue to Candela's Pizzeria & Ristorante Italiano at 14235 Midlothian Turnpike, Midlothian, VA 23113 - but still the second Thursday of every month. 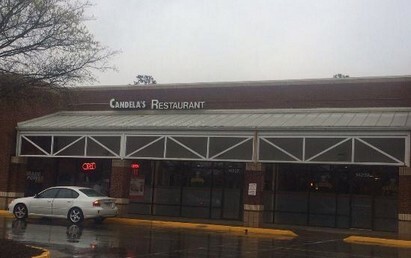 We stayed with Candela's about six years before we held our first meeting at Anna's Restaurant & Pizzeria, 11027 Hull Street Road, Midlothian, VA 23112 on July 11, 2013 to evaluate that location - with its new banquet room which gave us much more meeting space plus a large screen flat panel TV and the possibility of a private buffet. We voted at that meeting to change our meeting location from Candela's to Anna's, and also to shift to buffet style food service. After getting comfortable at Anna's we changed both our meeting day and meeting time a couple of times before finally settling on every second Saturday at Noon for the buffet, with the meetings beginning at 1:30pm.